Welcome to the wonderful world of Schleich & Papo - Models & Toys. It is a pleasure to be one of Schleich UK's main retailers - Schleich not only make wonderful detailed products they back that up by helping us provide the best customer care possible - great products - great service - great company. Style is designed in to every Papo model & toy - each new item is hand crafted with fluidity - knights are fantastic - dinosaurs are in a world of their own - farm and wild animals are superb - fairies and fantasy create a whole new world. Toys & Learning - Quality Models & Toys - All at Sale Prices. Toys & Learning is an independent Toy Shop, based in Norfolk UK, providing top quality products at the lowest prices possible backed up with fast service and customer care. We use qualty packaging (with quality packers!) and send all our orders out either by Royal Mail 1st class post or DPD couriers - who give you a one hour delivery slot. In 2007 Toys & Learning started as an online educational toy shop providing a wide range of educational toys that had been designed as toys to be educational. We found across the years that if a toy had been designed first as an enjoyable product it was always better received than if it started out as as educational product designed as a toy. 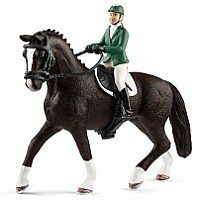 Hence our change around - we now specialise in the best models available in the UK from Schleich and Papo. Models themselves are a wonderful way of enabling children to use their imagination whilst engaging with the wider world. Schleich and Papo cover a huge range from the brilliant French design of Papo to the fantastic quality of Schleich products covering horses and accessories, farm animals, wild animals, pets, dinosaurs, dragons, fairies and elves, along with a whole host of gift sets.